f you happen to be in the area, please stop by the Birds , Bees, and Butterflies Juried Art Exhibit at the Lazarus Gallery of United Hebrew of New Rochelle, NY. The exhibit runs from May 20 through September 9, 2011. 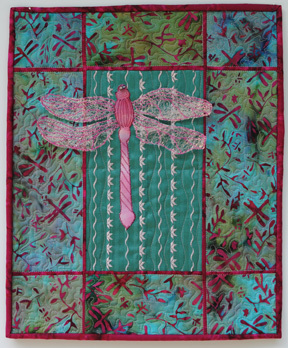 There is an Artists' Reception on Sunday, May 22 from 2:00-3:30 pm. The Lazarus Gallery is located at United Hebrew, 391 Pelham Road, New Rochelle, NY 10805. 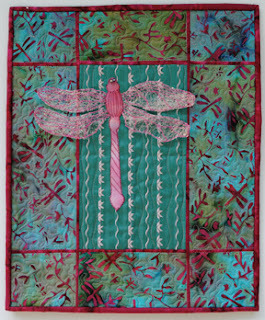 My art quilt, Dragonfly, is part of the exhibit.